Breakthrough Weight Loss Strategy - So Easy You Can Do It With Your Eyes Shut! Many people who want to move towards their ideal weight focus solely on nutrition and movement. These are clearly very important lifestyle factors, but what if there’s a step that’s equally, if not even more important, and that probably needs to be focused on first for many people? A step that will have profound effects not only on your weight but also on your overall health, vitality, motivation and drive, and it doesn’t require huge amounts of effort? Well there is and it’s often neglected, especially in our fast-paced modern world. It’s a step that will not only help you reach your target weight but also improve your mood, your energy levels and your enjoyment of life. It’s a step that will help you make the right lifestyle choices on a consistent basis, and improve your willpower and clarity of thinking so that you’re much more likely to eat the right foods, move more, and put your health first, simply because you’ll feel more like taking these actions. What is this powerful step? Today, very few people get enough quality sleep and it’s having a huge impact on both our waistlines and on our health. There are countless research studies showing that people who don’t get enough sleep are much more likely to be overweight and to have health issues than those that do. According to Dr Matthew Walker, Professor of Neuroscience at the University of California and Founder of The Centre for Human Sleep Science, who has published over 100 scientific studies on sleep, sleep is absolutely vital from an evolutionary standpoint, and lack of sleep is a major predictor of cancer, alzheimer's, heart disease, stroke, diabetes, depression and suicide. Appetite, weight, and food consumption are also all regulated by sleep and according to Dr Walker, lack of sleep makes you eat 300-500 more calories (1250-2100 kilojoules) per day on average, and makes you more likely to eat more high sugar / high carb foods. Well, there are two key hormones at play here - Ghrelin and Leptin. Ghrelin tells your body when you need to eat and when it should store energy as fat. Leptin does the opposite - it tells your body when you’re full and when it should create energy for your body to use. When you’re lacking in sleep, your Ghrelin levels go up and your Leptin levels go down, so your body thinks it’s hungry and it needs food and it stops burning as much energy as it thinks there’s a shortage. Lack of sleep also increases levels of your stress hormone Cortisol which can lead to inflammation and insulin resistance, both of which also contribute to weight gain. Lack of sleep also affects your mindset and your ability to make healthy choices. A range of studies on sleep have found that sleep-deprived individuals are much more likely to give in to impulse, have less focus, and make other questionable or risky choices. Sleep, it seems, may affect self-control in two main ways. First, it might reduce your capacity to exercise willpower. And secondly, it could diminish the energy needed for self-control. What this means for you is that if you’re tired then you’re less likely to focus on doing the right things in terms of your health, and you’re more likely to give in to temptations for processed sweet treats. So how much sleep should we get? According to the National Sleep Foundation in the United States, the average person should aim to get 7-9 hours sleep for optimal health. Research by the Sleep Health Foundation suggests that up to 45% of Australians have poor sleep patterns and fail to meet these levels. So how do we go about making sure that we get enough quality sleep? Aim to get 7 to 9 hours each night. This is the amount recommended for optimal health and weight. Go to bed at the same time each night and get up at the same time each morning. According to research, this is an incredibly important step that you can take to ensure that you sleep properly and feel rested. Minimise your exposure to bright lights before going to bed. 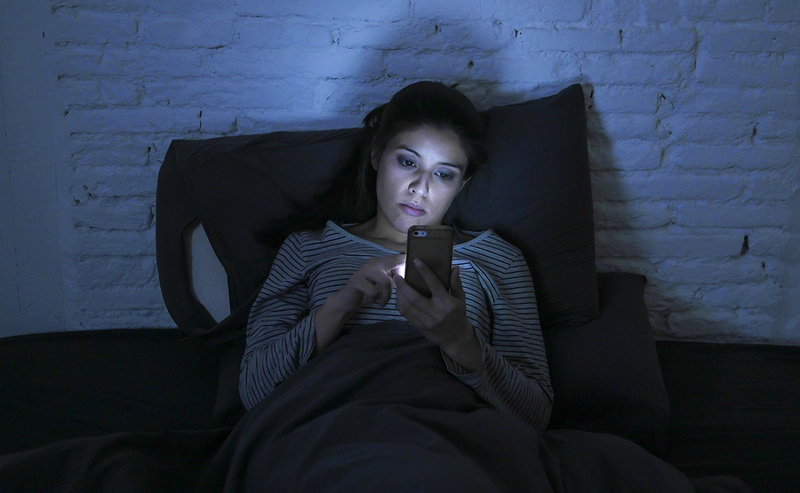 Research shows that bright lights and especially the blue light emitted by LED’s, computers, TVs and iphones all trigger the release of the activating hormone Cortisol in the body, which disrupts your sleep. Power down your lights and electronics 1 to 2 hours before going to bed. Sleep in a dark room as this also really helps sleep quality. Turn down the temperature in your room. 18 degrees celsius is the optimal temperature for sleep. Avoid stimulants after lunch. Many people have coffee and sugary foods in the evening and these really impact upon your sleep quality and increase your stress hormone Cortisol. Get plenty of physical activity during the day. This will help improve your sleep quality however be warned - the timing of your exercise is very important. If you exercise in the morning then you will stimulate yourself for the day and boost your metabolism. Intense exercise in the evening however will also stimulate you but at the wrong time, and this can then really disrupt your sleep quality. Avoid alcohol near bedtime as this can disrupt the natural rest and repair cycles of sleep. Remember that eating healthy foods and getting more movement into your day are also extremely important for reaching your weight goals, but if they’ve been a struggle so far then you might find it really beneficial to focus on your sleep first, so that you’re feeling at your best and have a natural desire to make the right choices. Research shows that missing out on adequate sleep makes you less productive, less creative and less effective at working in groups, so it’s time to change our attitudes towards sleep and to reap the benefits in all areas of our lives, especially our health!